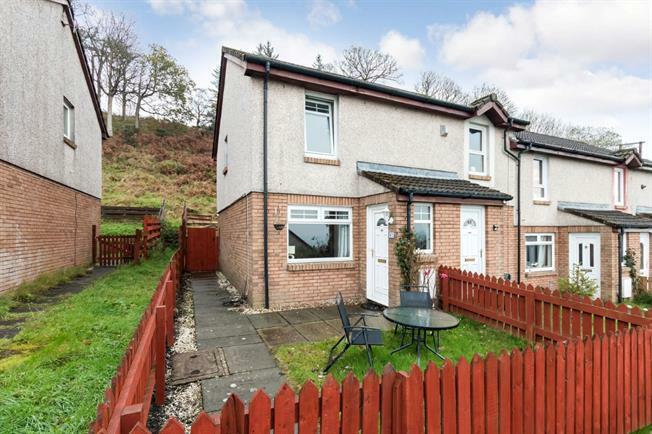 2 Bedroom Terraced House For Sale in Largs for Offers Over £85,000. Entrance vestibule, front facing lounge with excellent westerly views, rear facing modern, dining sized kitchen fitted with appliances and exterior door to the rear garden. On the upper landing there are two fitted bedrooms -master bedroom again fine, open views over the town and Firth of Clyde. The modern bathroom is fitted with a three piece suite (WC, wash hand basin, and bath with over bath thermostatic shower).